I have more energy, and sleep better now that I take Amino 21 by DaVinci Labs. A high quality‚ hypoallergenic amino acid formulation. Amino 21™ is a scientifically formulated combination of 21 crystalline‚ free-form amino acids in the natural L-configuration. Because free-form amino acids are readily bioavailable and require no digestion by the body‚ they can be absorbed efficiently into the bloodstream and accompanying tissues where they are used for cellular regeneration. 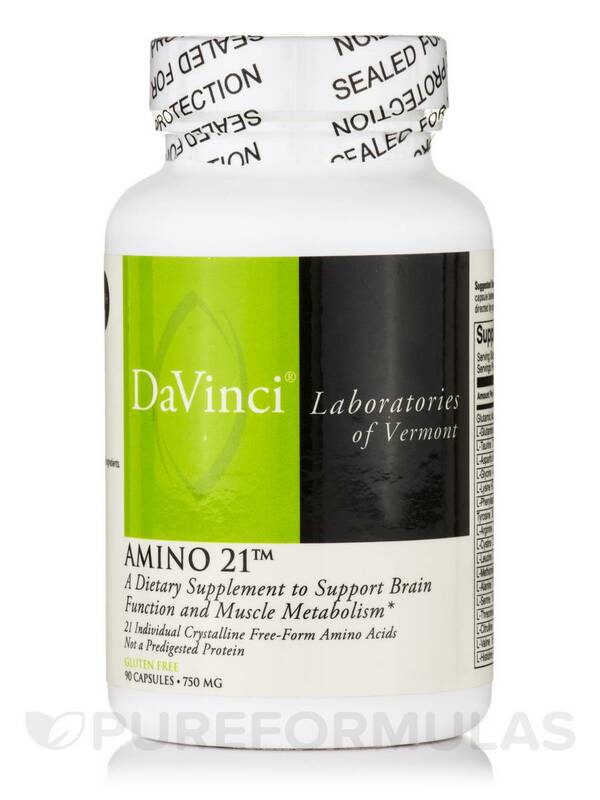 Amino 21™ is a high quality‚ amino acid formula to support brain function and muscle metabolism. Amino 21™ is a scientifically formulated combination of 21 crystalline‚ free-form amino acids in the natural L-configuration. It provides all the necessary “building blocks” for the production of body proteins. Free form amino acids are readily bioavailable and require no digestion by the body‚ they can be absorbed efficiently into the bloodstream and accompanying tissues where they can be used for cellular regeneration. - Provides amino acids that have a broad application for both mental and physical functions. - Act as building blocks for protein. 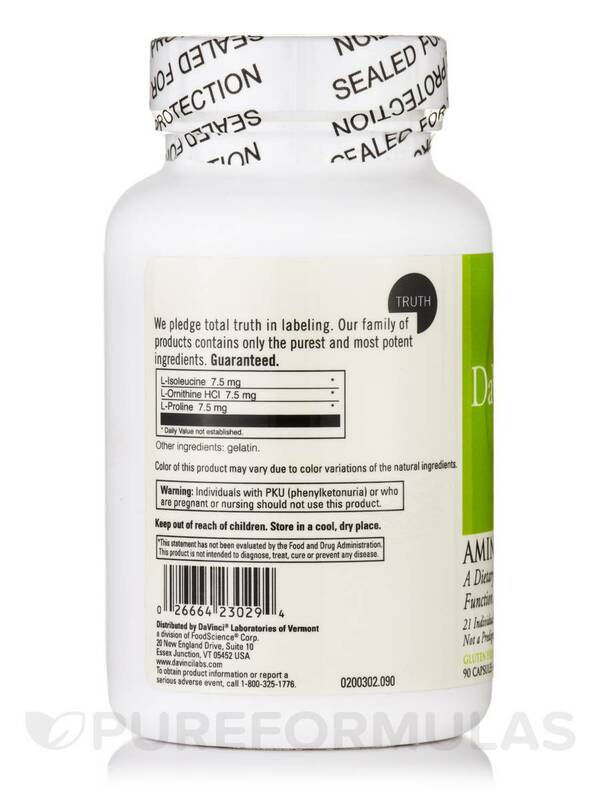 - Supports hormone‚ enzyme and antibody formation. 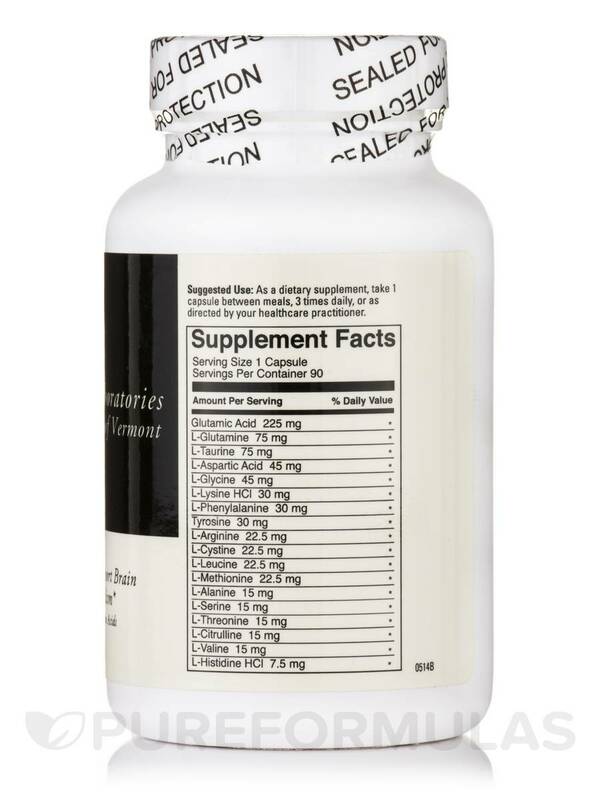 - Supports healthy nervous system function. - Supports healthy body tissue structure and muscle development. - Benefits elderly‚ athletes and those with poor wound healing. - Is ideal for those whose dietary intake of protein is below the U.S. RDA (Recommended Daily Allowance). Protein is one of the most important elements for the maintenance of good health and vitality and is of primary importance in the growth and development of all body tissues including muscles‚ blood‚ skin‚ hair‚ nails‚ bone and internal organs. Hormones‚ enzymes and antibodies are all formed from protein. Amino 21™ is not produced from predigested or hydrolyzed protein. 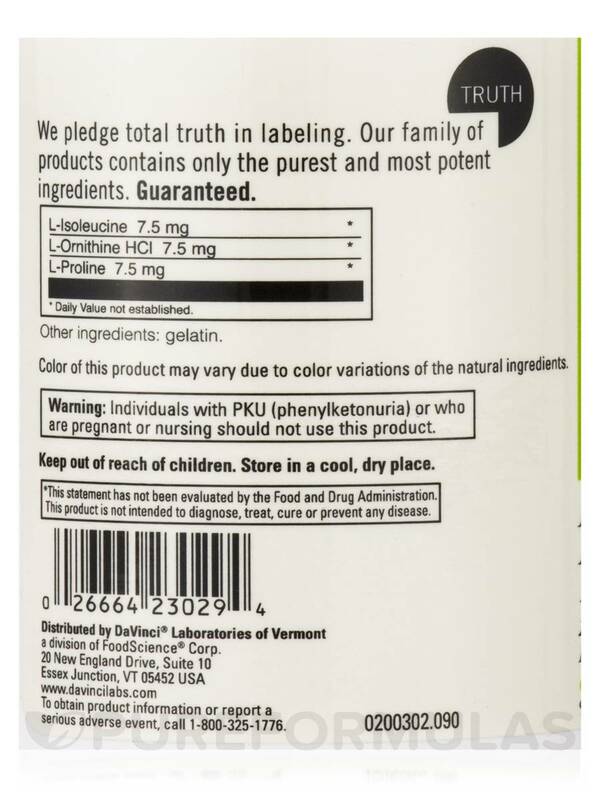 Each crystalline free-form amino acid is formulated separately. Amino acids in protein form require specific enzymes to break them down into individual amino acids. If free form amino acids are not available to make the necessary digestive enzymes‚ the body is not able to break down protein into the necessary free amino acids. Free form amino acid supplementation such as Amino 21™ requires no digestion by the body. 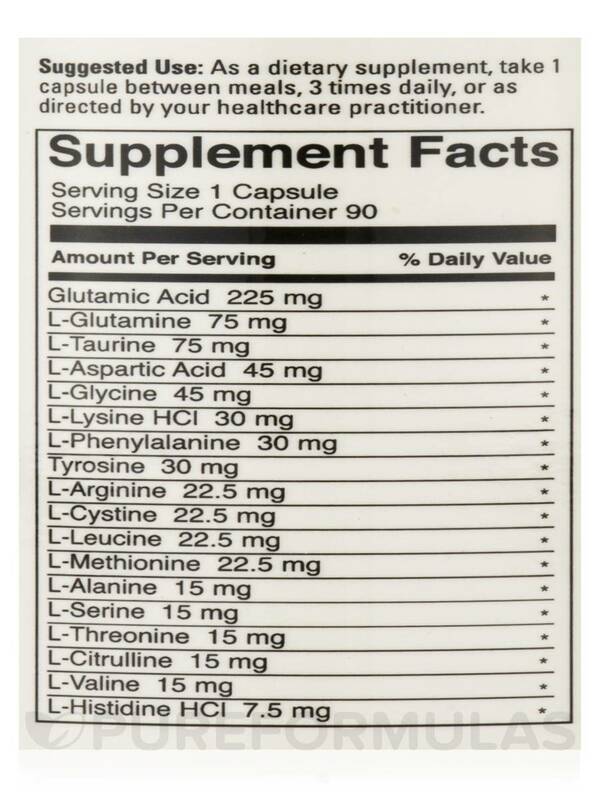 As a dietary supplement‚ take 1 capsule between meals‚ 3 times daily‚ or as directed by your health care practitioner.